Who says you can’t enjoy a cocktail with breakfast?! Here’s a fun way to start your Valentine’s Day or very special morning with your love. 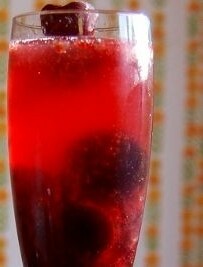 Combine 2 parts champagne, 1 part cherry juice, ½ part cranberry and a cherry or two to garnish.